Tamarind (Tamarindus indica) is a leguminous tree in the family Fabaceae indigenous to tropical Africa. The genus Tamarindus is a monotypic taxon, having only a single species. We are offering Natural Tamarind to our clients. We offer a perfect Tamarind Bar directly extracted by tamarind fruits. vinegar, salt, lime juice and tamarind pulp. those contents were already a best preservatives, thus this paste was preserved properly and also kept in a cold storage room. Sweet and tangy, tamarind is one of the widely used spice-condiments found in every South-Asian kitchen! Tamarind is a spice indispensable in most Indian kitchen. It is the fruit of a tropical tree. The dried tamarind is obtained after removing the rind from the mature, ripe and dried fruit of Tamarindus indica. The pulp obtained is well dried and compressed into cakes. 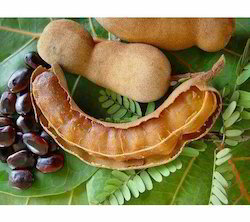 Tamarind is characterized by a sour and slightly sweet flavor The tamarind trees flourishes in the tropical regions. Timely delivery is our forte as we have up-to-date transit facilities and logistic services. 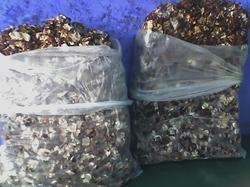 Since we have years of knowledge, our organization has arisen as foremost suppliers of Dried Tamarind. Our Dried Tamarind is used to add a distinct taste to various dishes and is available in a quality packaging. We are leading manufacturer and exporter of Tamarind. We have been counted amongst the most trusted names in this domain, engaged in providing Organic Tamarind.